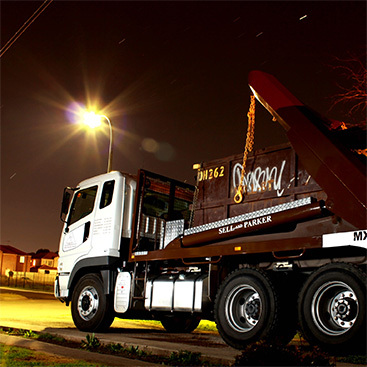 Trading since 1966, Sell & Parker Metal Recycling Services is an Australian owned and operated private company. We have ample experience in dealing with all issues surrounding scrap collection and recycling. We are the dominant buyer of demolition scrap in Sydney and we also service a large number of manufacturers throughout Sydney. Sell & Parker is one of only three accredited suppliers to Bluescope Steel. Sell & Parker are buyers and sellers of all grades and all quantities of Ferrous & Non-Ferrous metals. We process the scrap ourselves and sell direct to end users making us completely independent. We buy from anybody and everybody, from small deliveries of 10kg such as a small backyard clean up to thousands of tonnes from major utilities. We buy all grades of scrap including steel, aluminium, copper, brass, stainless steel and most others. Through the loyal support of many of our local suppliers and customers all across Australia and the world, Sell & Parker are able to offer competitive pricing on all scrap metal that you may produce.